If one would rather take a mountain hike as an alternative to one of the recommended coastal hikes, there is a well established trail along the ridgetop between Zapallar and Cachagua. It is referred to by the locals as El Tigre, the Tiger. The trail actually begins on the Zapallar end at the lowest point on the eastern ridge (where the sun comes up), between the communication towers on the right and the Higuera mountain on the left. One can access the trailhead by taking a pathway that begins at the uppermost point of the pueblo housing developed on the right as you enter Zapallar on the road from Cachagua. On this traverse of the ridge to the El Tigre trailhead, one gets magnificent panoramas of the township of Zapallar. The formal beginning of the El Tigre trail is not hard to identify. One of the surprising things about the trail is that it is relatively flat. This makes for an enjoyable walk as you take in the vistas of Cachagua laying there down by the ocean. 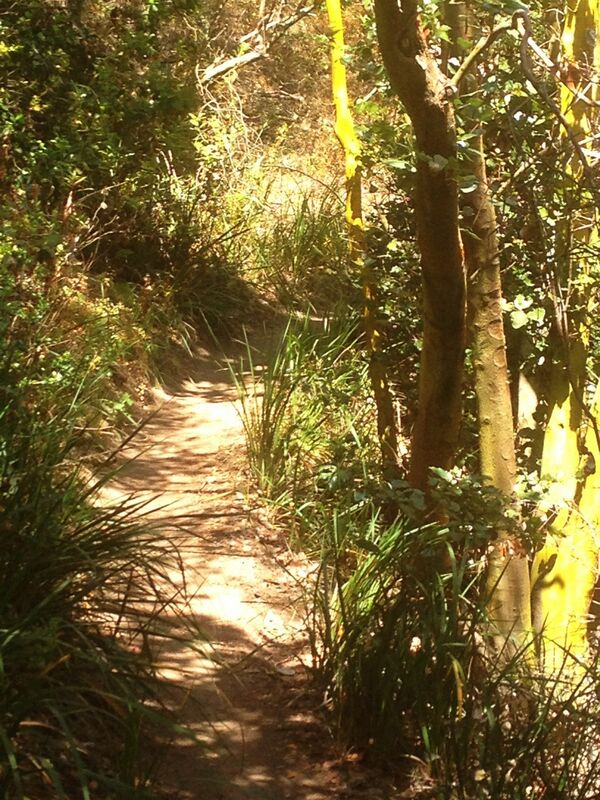 The second most surprising thing about this walk is lushness of the vegetation. Even in the summer of a drought year, you have been magically transported from the dryness of the surrounding areas into a green oasis. One almost expects to see Trazan swinging by on the vines hanging from the trees. About 2 hours into the hike, at a fence gate looking like this and where a trail heads downhill to the right, one has multiple choices on how to proceed. 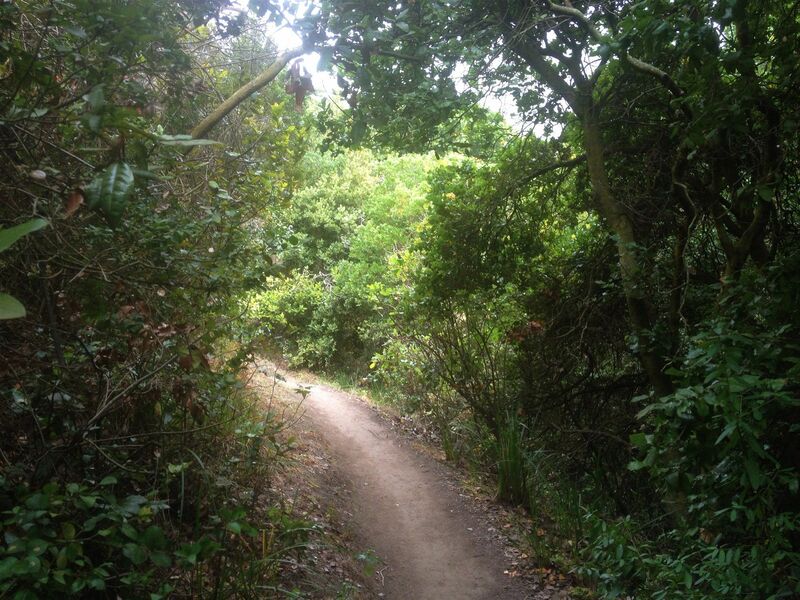 Take the trail down the hill towards the coast to arrive in Cachagua. The way down takes you through people’s horse pastures and along dirt roads. 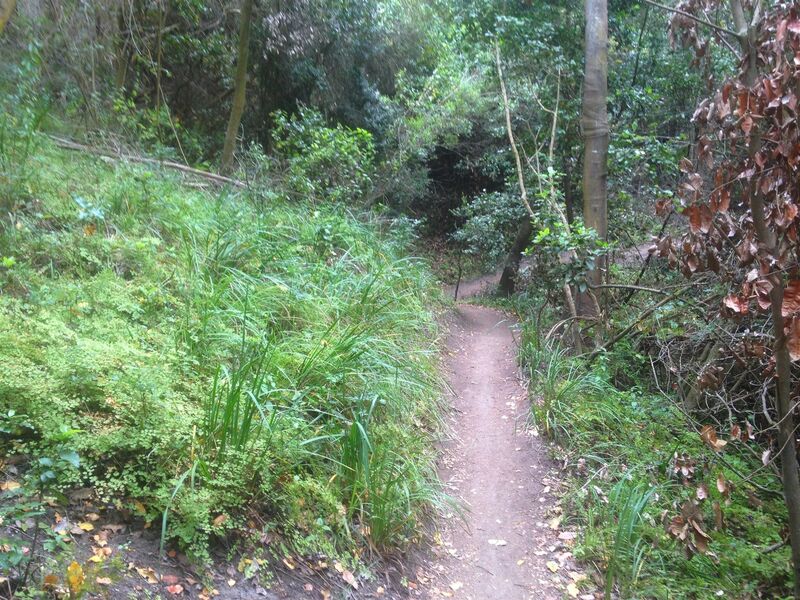 Always keep heading downhill, towards the sea, and you will arrive in Cachagua in about another 2 hours. Alternately, you can turn around at this point and head back on the trail to Zapallar. 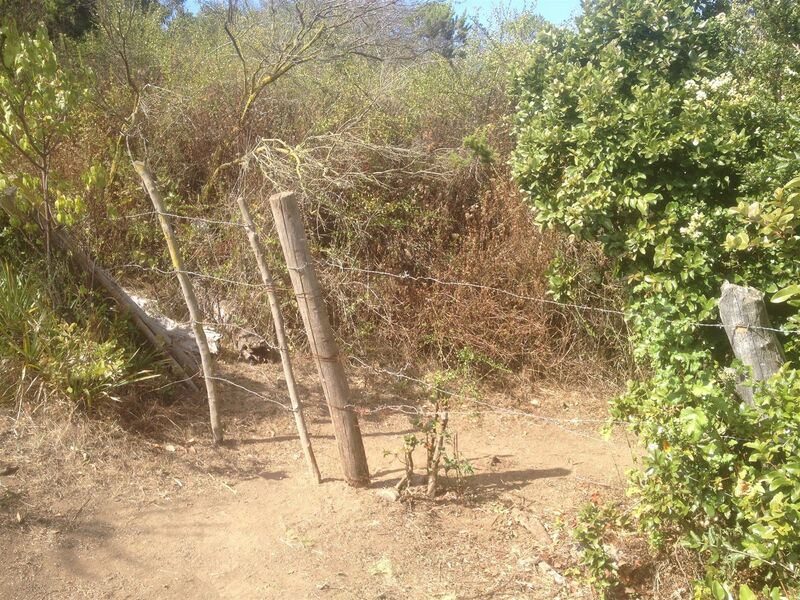 The third option is to go through the fence gate, and take that path, which will bring you to Catapilco in a day or two. Whether you end up in Cachagua or Zapallar, the first order of business is a big glass of cold water.